Sea Moss, Rose and Oatmeal, Bergamot, Orchid, Jasmine and Violet with Warm notes. Goddess who inhabited the secluded island of Ogygia. Fresh scent of Sea Moss, Rose and Oatmeal, Bergamot, Orchid, Jasmine and Violet with Warm notes. Made with Stearic Acid, Sea Water, Coconut Fatty Acid, Palm Kernel, Glycerin, Potassium & Sodium Hydroxide, Castor-Emu-Babassu-Grapeseed-Argan-Borage Oils, Calendula, Extracts, Poly Quats, Allantoin, Silica, Honey, and Fragrance. This is my favorite scent by Van Yulay. 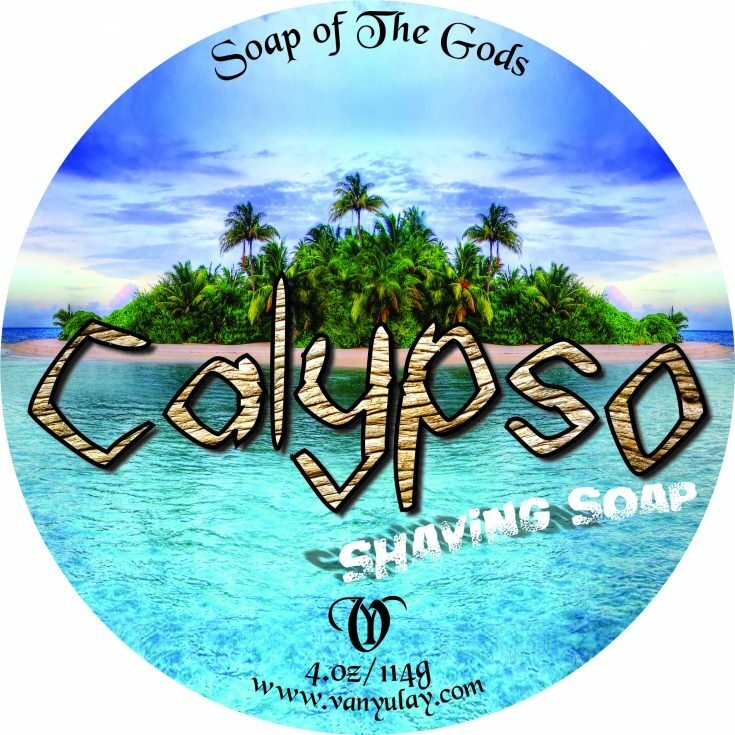 It is a very fresh aquatic soapy scent that is perfect for summer and great for year-round. I love the brightness of the citrus and smoothness of the mixed florals. It is not too sweet and definately a unisex scent that would appeal to anyone.